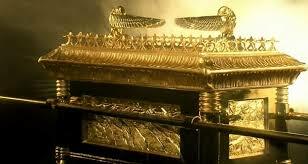 In the temple behind the veil lies the Ark of the covenant. The temple is the center of the religion and culture of Israel. The Identity, the tradition and everything that Israel does evolves around the Ark. But what does the Ark signify, what was it really about? The Ark embodies God's eternal purpose. The Ark is kept in the Holiest where God's presence lies. The Ark hold the presence of God on earth. The temple was to be the house of God where God is located on earth and the Ark is the anchor that hold God here. On the Ark lies the mercy sit where God dwells in the midst of the Cherubim. God is enthroned on the Ark and from there He exercise His reign on earth. All of these signifies something. The Ark is the embodiment of the covenant. For in the Ark lies the tablet of the terms and conditions of the covenant. There is also the rod of Aron which was a testimony of God's divine ordination of the priesthood that would administer the covenant. And finally there lies the manna that testify of God faithfulness and the divine food by which the covenant people where to live by. Yes, indeed the Ark is the embodiment of the covenant. And it reveals that God is enthrone on the earth by the virtue of the covenant. God set His throne upon the covenant He has with man and God's can only reign on the earth through the covenant. As long as that covenant is honoured and kept by man then the power and blessedness of God's kingdom would be experience on earth. From the vision of Nebuchadnezzar as interpreted by Daniel God wants to bring down His kingdom on earth. That it might crush every other kingdom on earth, establish itself and filling the whole earth. All this is possible through the covenant. If only we know how to kept the covenant then God would be able to achieve His goal. Yes, a time would come when the Church would understand the covenant and honour it as we together with God fill the world with His kingdom. The Ark also held down God's presence on earth. This signifies that God's presence remain in this world by the virtue of the covenant. Man can only experience God's presence on earth base on how much we keep and honour the covenant. It is not prayer that brings God's presence on earth neither is it 'holiness' or worship but it is understanding the covenant and keeping it. As we submit to the covenant we bring God's presence and as we maintain the covenant we secure God's presence in our midst. God wants to live and walk among men but this is only possible if we keep the covenant. The world need to experience God's presence, in this thick darkness there is the need for the light that radiate from God's presence. Oh! How much the world needs that hope, joy, peace, life, freedom, protect and riches that emanate from God's presence. 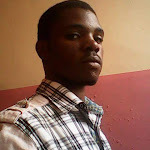 And we as the covenant people are the custodian of the presence of God on earth. If only we know our role and know how to play it well we won't have so many lost people in the world; people who have lost hope become frustrated and reckless, people who couldn't find God. The world comes to us to seek for God and all we could give them is another religion and now we curse them for giving themselves to darkness. We carry so much responsible and as a result much blame is upon us.